To view images of an individual hostel, click on the relevant title in the menu on the right. The event was organised between the Alumni, Yorkshire Sculpture Park, Rushbond and Wakefield Council. Visits were scheduled during that afternoon to each hostel in turn - Grasshopper, Beaumont, Allendale, Wentworth, Dearne, Kings Head, Saville, Haigh, Swithen, Litherop and finally Eglington. Some Brettonians chose to visit one or two hostels, but a few of us went to every single one, determined to capture each and every room for posterity, along with a few kitchens and bathrooms, plus as many of the autographed/graffitied wardrobes as we could find! There are some window views too. The photographs (almost 1,100) were taken by Alan Parker (Music 1968-71), David Newland (Dramatic Arts 1984-87) and John Morrissy (Education Early Years 1987-90). Andy Talbot (Dramatic Arts 1987-90 & PGCE Drama 1991-92) did the video walk-throughs (see the Hostel Safari below!). Some photos were also provided by Jo Smith (Education Music 1985-87 / Music 1987-90). We're all happy for you to download and print the photos for your own non-commercial personal use. We’d like to thank Wakefield Council and, in particular, its Regional Growth Manager John Ladley, for making this happen and for his vision of seeing the benefits of the Alumni and the Council working together. John is also determined to preserve significant artefacts from the hostels (particularly the concrete frescos). The event also couldn’t have been possible without Kelly Amoss at YSP, supported by a couple of colleagues who gave out latex gloves (for health and safety), unlocked the hallowed buildings and waited patiently while we oohhed and aahhed, then carefully locked them again before moving on to the next one. It’ll sound an obvious thing to say, but no-one’s lived in the hostels since 2007 and some of the rooms are in a sad state, particularly the top floor of Grasshopper. Some of the windows were obscured by ivy so are quite gloomy inside. Foliage has crept into some of the bathrooms too! Update: Thanks to Wakefield's Rob Matley and Ian Beaumont, and Rushbond's Mark Finch, David Newland was able to return to the hostels in July 2014 to capture the last remaining shots so we now have a complete record on these pages of doors, rooms and, where it existed, wardrobe graffiti. Click on the right-hand menu to bring up each hostel’s images. We’ll be adding to these when we can, so do please check the whole page in case some images have gone out of order. Click on this link for the Bretton Hall College Hostel 'Safari' May 2013 - http://youtu.be/REx8rfODmlA. Finally, if you have any photos or videoclips of hostel rooms we'd love to hear from you. Please get in touch via the Contacts page. 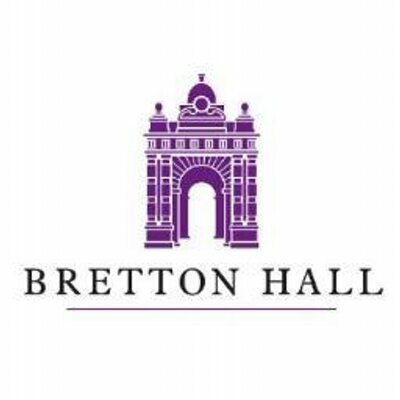 Also, if you have any room or hostel photos from YOUR time at Bretton Hall, do send them to us - if there's enough interest we'll create another gallery. Please include your name, room number and year.